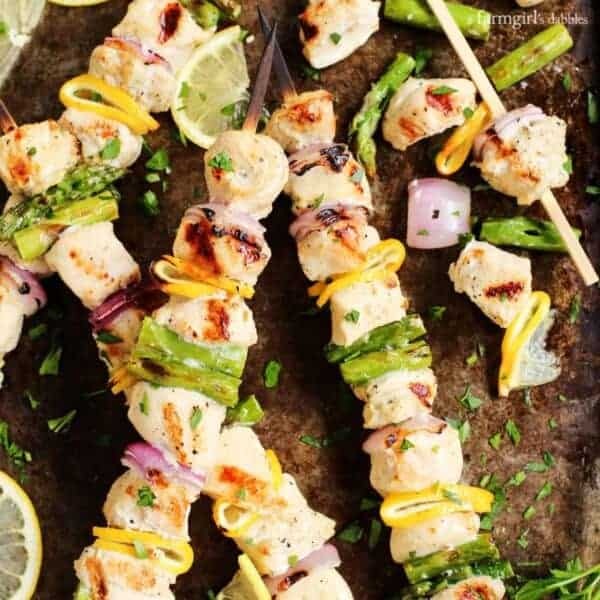 Grilled Lemon Pepper Chicken Kebabs are easy to prepare, plus pretty and delicious! In Minnesota, where we have a definite season of cold weather hibernation, there is what we also refer to as “grilling season”. That glorious time between the last snow melt in early spring to the first snowfall of late fall. Not that we don’t still grill outdoors during the winter, because we most certainly do. You know me – I could never go that many months without a good meal from the grill. Never! We’ve been grilling regularly for the past couple of months now, but this is the first official grilling recipe of the grilling season. These Lemon Pepper Chicken Kebabs are incredibly tasty, colorful, pretty, and so much fun to serve (and to eat!). These easy-to-make kebabs will be in our regular menu rotation until the first snowflakes fall. * This post is sponsored by Gold’n Plump®. I am so honored to be partnering once again this year with Gold’n Plump, my third year sharing about this local Minnesota chicken brand. I’ll be enticing you with new recipes featuring a variety of their chicken products in the months to come. And for even more mealtime inspiration, be sure to check out recipes I’ve created in the past with Gold’n Plump chicken, so much goodness! At Gold’n Plump, good chicken is its mission. Gold’n Plump chickens are raised by family farmers who are committed to high quality, wholesome, good chicken. 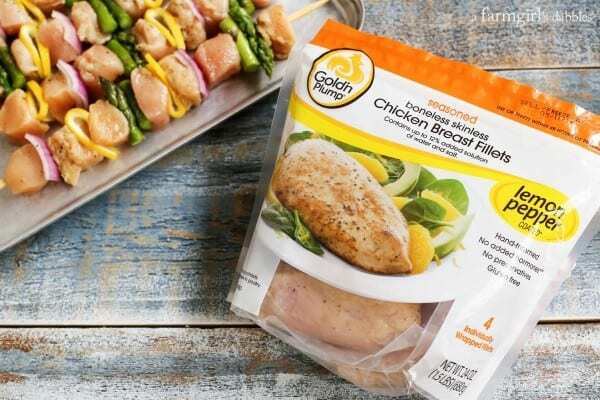 This grilled lemon pepper chicken kebabs recipe features Gold’n Plump’s flavorful product line of seasoned boneless skinless chicken breast fillets. I like that each chicken breast is individually wrapped, locking in the flavors. My family has become quick fans of these flavored chicken breasts. The only thing I add is a light sprinkle of coarse salt and freshly ground black pepper right before cooking. 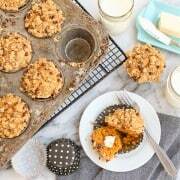 This makes mealtime prep a cinch, a much appreciated aspect for our busy weeknights. 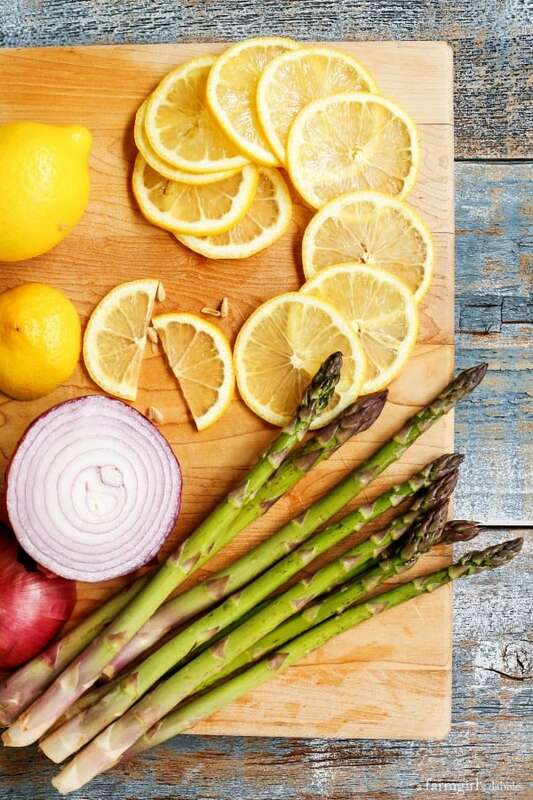 This recipe for grilled chicken kebabs starts out with the fresh colors and flavors of lemons, asparagus, and red onion. Together, they are a simple yet flavorful team with tender grilled chicken. I simply cut the lemon pepper chicken into chunks and then skewer it, alternating with pieces of lemon, asparagus, and onion. Then the kebabs are brushed lightly with olive oil and sprinkled with coarse salt and freshly ground black pepper. These kebabs could easily be prepared ahead of time if you’re entertaining. Just cover and refrigerate until you’re ready to grill. I love the char that the grill gives to these tender chunks of chicken, adding caramelized flavor, texture, and beauty. 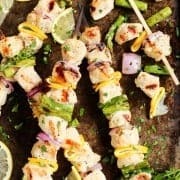 I’ve been making these grilled lemon pepper chicken kebabs for weeknight meals, serving them with a simple side of rice. 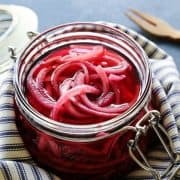 But this recipe is so flavorful and pretty, it will definitely be making appearances at gatherings we host in our backyard this summer, too. I’ve found that kebabs always make people smile, and that’s the goal I have for anyone seated at our table. 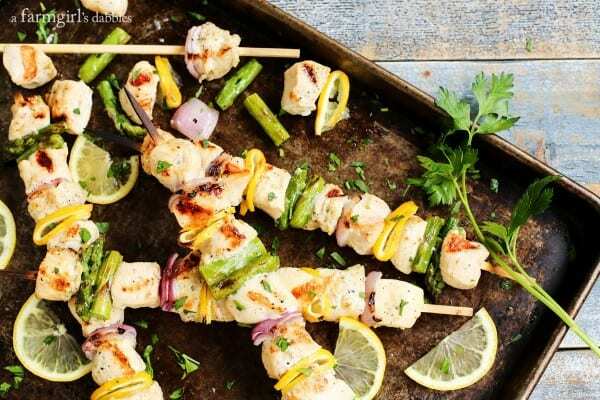 * If using wooden skewers, soak them in water for at least a couple hours before grilling. This will help them to not burn as much. Bring a medium pot of water to a boil and add asparagus spears. Let cook for 2 minutes and then immediately drain and add the spears to an ice bath. 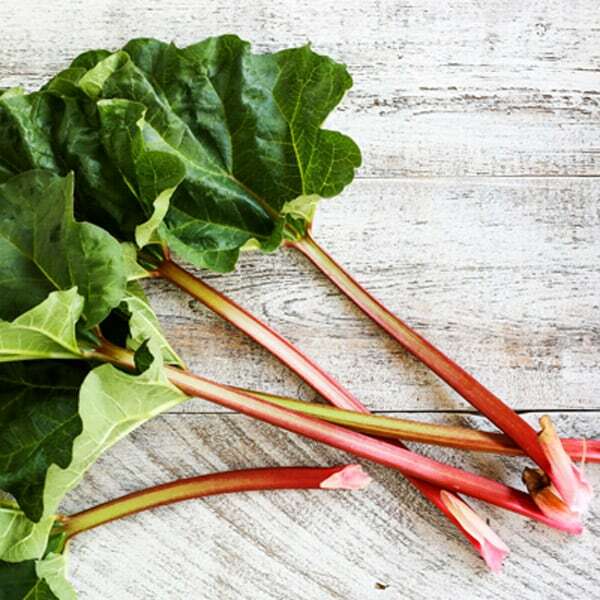 Once cooled, cut the spears into 1-1/2″ lengths. Cut the chicken into chunks, about 1-1/2″ in size. Slice the lemon into thin rounds and then cut each round in half. Cut the onion into 1-1/2″ pieces. 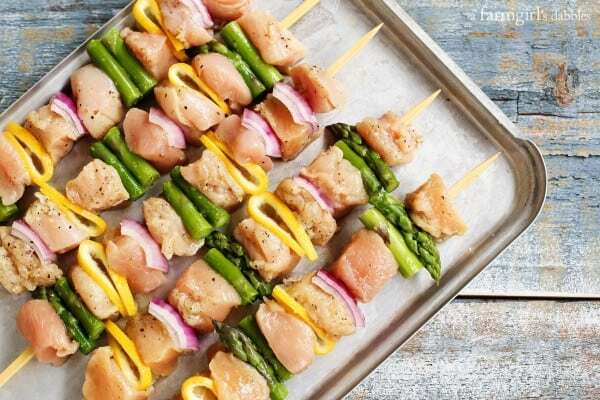 To skewer, alternate chicken, asparagus, lemon, and onion pieces. For the lemon, simply fold each half-moon slice and thread onto the skewer. Lightly brush each skewer all over with olive oil and then finish with a sprinkle of salt and pepper. Place chicken kebabs on hot grill grates and let cook until beautifully charred. Turn the kebabs and continue to cook until charred again. The chicken should be cooked through after about 12 to 15 minutes of total grill time. Serve hot. This post is sponsored by Gold’n Plump, a local chicken brand based out of St. Cloud, Minnesota. I am partnering with them again this year to bring you delicious new chicken recipes from our kitchen and backyard grills. All opinions are 100% my own, as always. Thank you for supporting the brands that help make this site possible! Gorgeous photos lady. 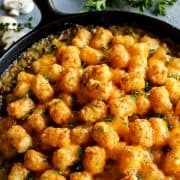 This looks super easy to make and DELISH! Lemon pepper chicken is a favorite around here! Love the asparagus in these kebabs! Thanks, Jessica. Asparagus promises to show up on more kebabs around here, for sure! Such a perfect looking kebab! So exciting grilling season is here. yay for not having to use the stove for a bit! This looks so good. I adore recipes that are both pretty and flavourful. This one fits the bill. I love grilling so this is right up my alley. I’ll have to take a peek at the store for this chicken. Not sure if they carry it in Canada. But we’re a border town so we’re always hopping over to Michigan to shop. I’ll check there. These kebabs look wonderful and so fun to eat! Yumm, great flavors here Brenda!! So pretty! 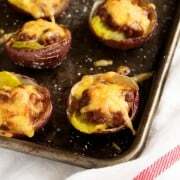 I’m always on the lookout for more grilling recipes, this one is a must-try! 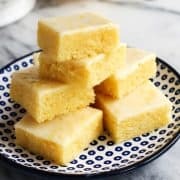 Well, these are simple and delicious!! I need to grill lemon more often! Oh, I love these so much. Perfect for summer entertaining! I’m definitely going to look for these next time I’m at Target. Looks like they are pure meat – I HATE trimming raw chicken! Thanks for introducing me to this brand…seriously! I love pre seasoned chicken like this, it makes dinner so easy! These kabobs look like perfection! 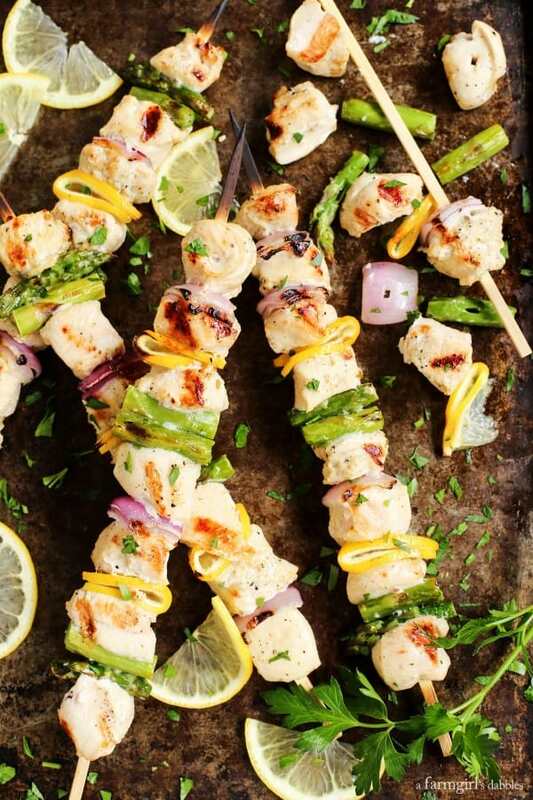 These kabobs are going on our summer grilling list!! I mean seriously. Can dinner get any easier? My MIL is a huge lemon pepper fan and made us all fans too, so I’m totally sharing this with her. She’s going to love it. 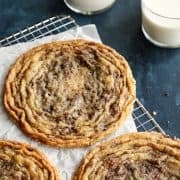 Hope to make these soon. 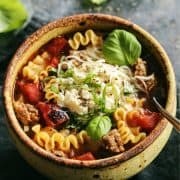 Tasty and easy is right up my alley. 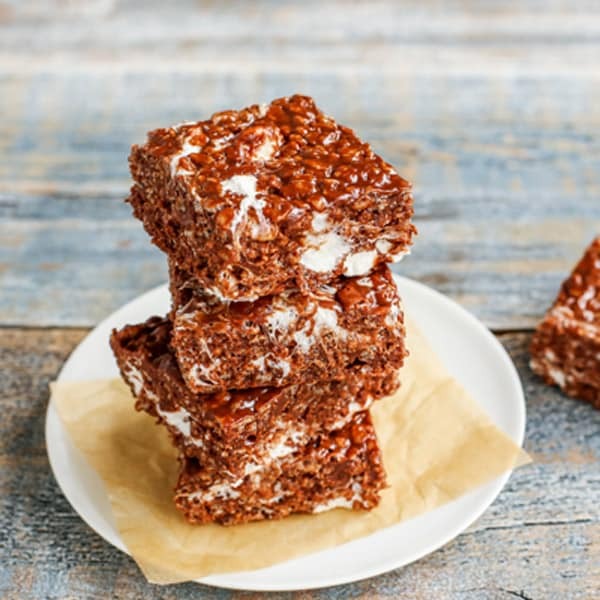 A summer must try recipe! 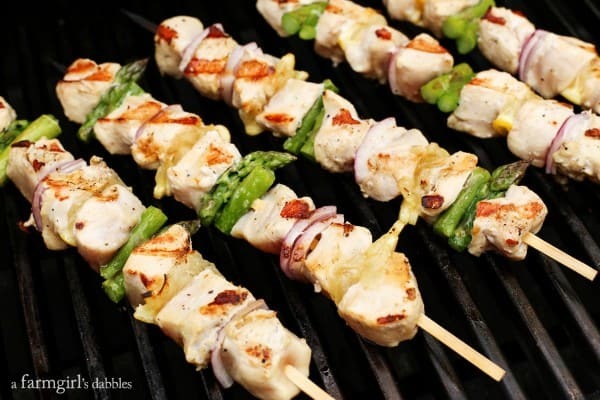 we love to grill, love chicken and love asparagus!! This is going on our dinner table next week!! looks delicious Brenda! YOu are makin’ my tummy rumble here!! YUM! I bet the Tomato Basil chicken would be great as a Kebab too! 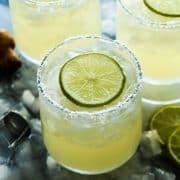 These look so perfectly summery and delicious!